It’s a quiet autumn night. The full moon barely penetrates the thick, low-hanging fog. An unsuspecting group is returning home from their evening activities. They’re in a dangerous area, but they know they’ll be safe if they stick together and move quickly. They’ve been lulled into a false sense of security …little do they know that just out of eyeshot, they’re being stalked by a killer. The group finally makes it back to familiar territory. But as they slow down, the killer makes his move. Before they can make sense of the commotion, the killer is among them, striking with frightening speed. Amid the confusion, three comrades disappear instantly into darkness. But the killer miscalculates his attack on the fourth victim, who escapes injured. The group instantly realizes what is happening and is gone in a flash. The attack is over in a matter of seconds, and the killer finds himself alone in a sea of blood, dismembered bodies and scales. 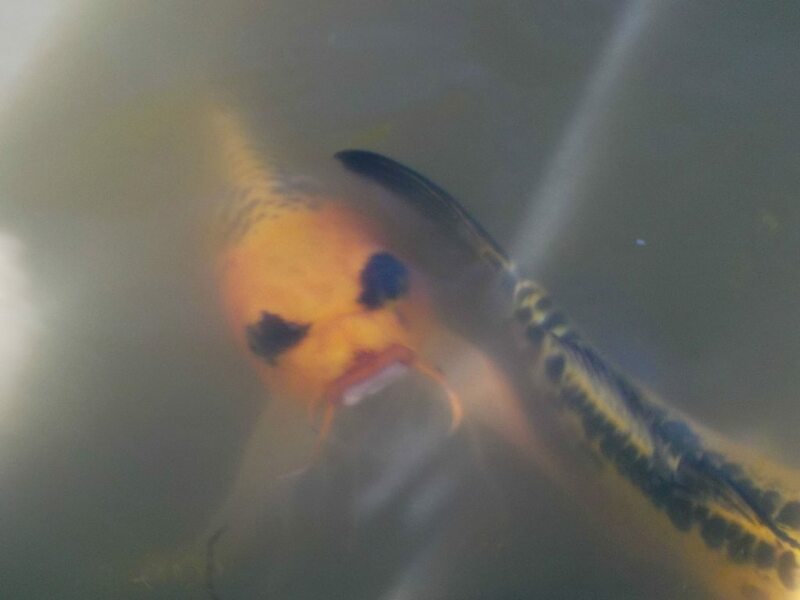 As a member of Cyprinidae, the minnow family, this freaky-looking koi can emit schreckstoff when injured. Source. Scales? 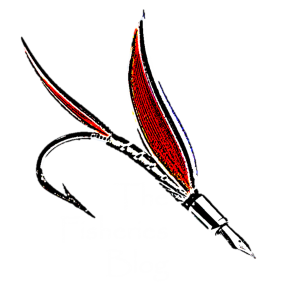 Yes, scales—this is The Fisheries Blog, isn’t it! That scene wasn’t from a Halloween slasher flick…it’s played out by piscivorous fishes and their prey on a daily basis in a waterbody near you! One reason the prey fish got away so easily—the focus of this week’s article—is a compound called schreckstoff. Many fish species excrete schreckstoff when they are injured. This alerts the rest of the school that danger is near. In a sense, fishes can actually smell fear. Schreckstoff was first documented in 1938 by Austrian ethologist Dr. Karl von Frisch. Because he didn’t know the chemical makeup of the compound, he simply called it schreckstoff—German for “scary stuff”. Chemical structure of chondroitin sulfate. Source. Through a series of very clever experiments, a group of researchers from Singapore and Switzerland recently discovered that the active ingredient in schreckstoff is a molecule called glycosaminoglycan chondroitin. Click here to read up on their groundbreaking study, and check out this video of how fishes respond to shreckstoff in the lab. For decades, many researchers believed that schreckstoff functioned only as an alarm cue. Within that context, they debated on whether its purpose was to prevent kin from suffering the same fate as the injured individual, or if it served to attract additional predators and confuse the original one, allowing the school time to escape. It is now known that schreckstoff actually functions as an immune system response to parasites and pathogens such as molds, trematodes and solar radiation. Thus, schreckstoff probably functions only secondarily as a response to predators. So next time you’re out on the water and see a group of predators decimating a bait ball, just think of all that liquid fear that’s floating around…happy Halloween! Schreckstoff won’t save these fish…. Smith, R. 1973. Testosterone eliminates alarm substance in male fathead minnows. Canadian Journal of Zoology 51: 875-867. Mathis, A. et al. 1995. Chemical alarm signals: predator deterrents or predator attractants? American Naturalist 145: 944-1005. Cashner, M and C. Taylor. Are spotted bass (Micropterus punctatus) attracted to schreckstoff? A test of the predator attraction hypothesis. Copeia 592-598.